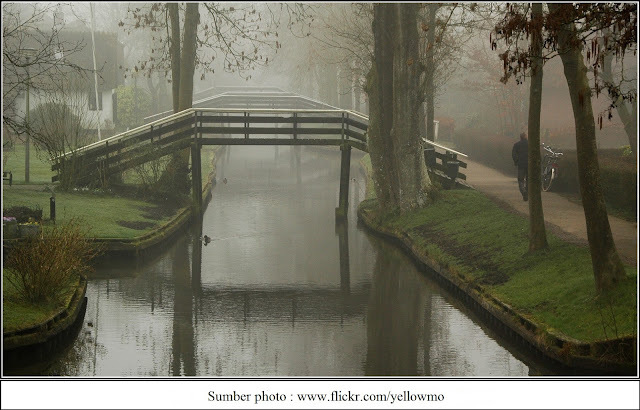 Giethoorn is a small village in Overijssel province, Dutch. The water village located at north of Zwolle city about 110 km to the northeast Amsterdam. Giethoorn placed away from pollution and noise. This village known as the "Venice of the Netherlands" or "Venice of the North", which is almost the entire regions surround by branch canals into small rivers flow. It was hard to find out vehicles that passing around, people in this village using electric boats that called punters as their transportation. 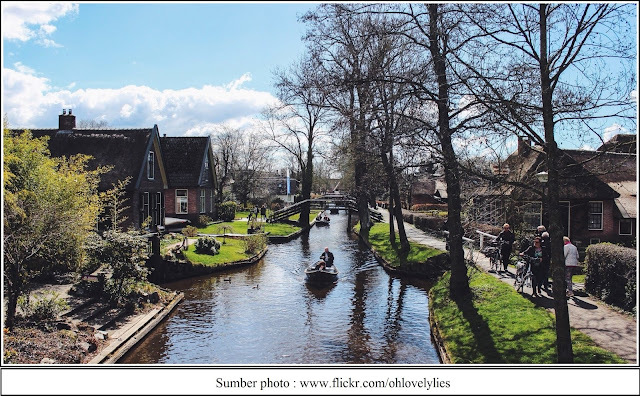 Giethoorn most visited by travelers during the summer because the scenery is very beautiful. Visitors can rent punters to get around through the whole canal. 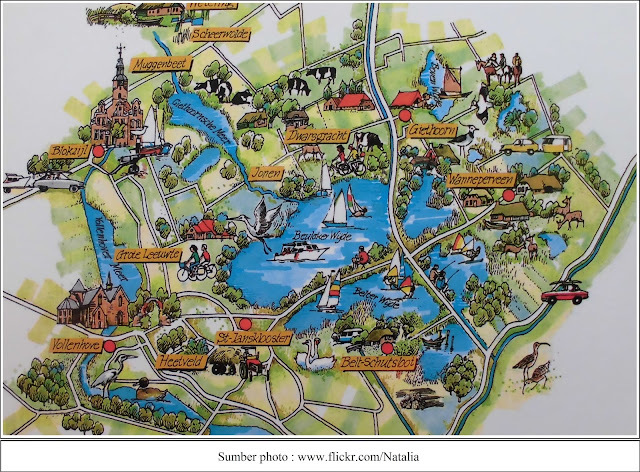 The visitors also can drive punters by themselves within Giethoorn areas map. When driving around overland it would seem some people who walk or ride a bike there. Giethoorns’ Water Village populated roughly equal 3000 people. Almost all of houses area surround by canals with a depth of about 1 meter. There are many houses built on small islands that connected by small wooden bridges. This village was built by fugitives from Mediterranean around 1230 years ago. They found a jumble of wild goat horns were supposedly extinct due to flooding around the year 1170, and for that reason they call this area Geytenhorn which is later after many years changed into Giethoorn. 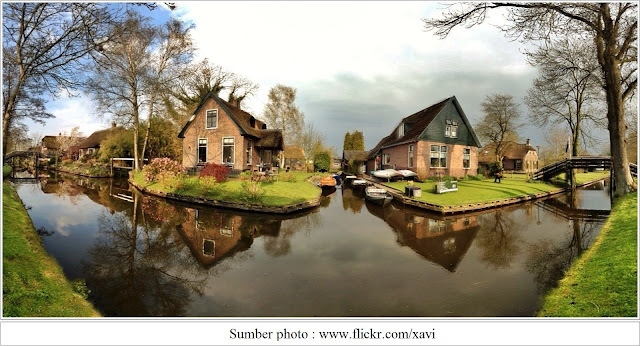 0 Response to "Tracing the Wonderful of Water Village Giethoorn in Dutch"